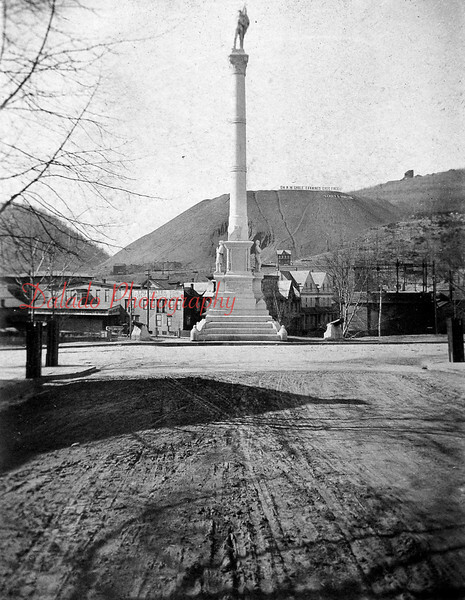 Soldiers and Sailors Monument- Erected in 1898 under the sponsorship of Lincoln Post 140 of the Grand Army of the Republic. It was dedicated on Sept. 5, 1898, in an impressive ceremony on Lincoln Street. Local children helped secure funds for the monument by donating $.25, which, by those days was a considerable sum. At 30 feet high, the monument stands as a living memorial to the Civil War dead.